Masters champion Patrick Reed won his first major at Augusta National yesterday but amidst the celebrations he had to answer an awkward question in his post-round press conference. The American held his nerve on a riveting final day of The Masters to hold off charges from Rickie Fowler and Jordan Spieth to claim the green jacket by one shot as Rory McIlroy's challenge faltered. 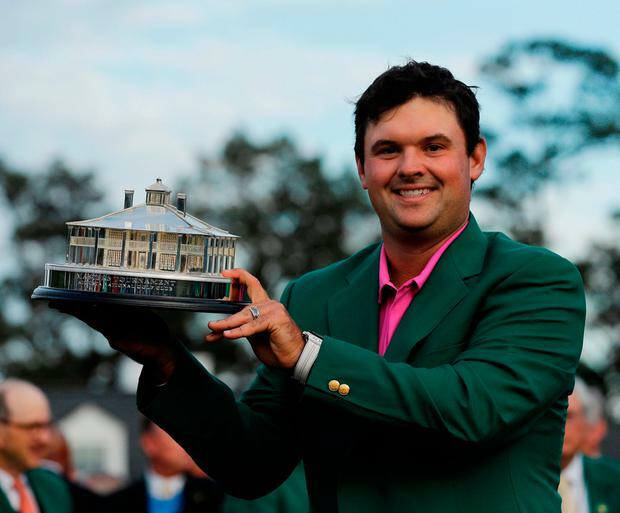 It was a deserved victory for Reed, who outplayed the Northern Irishman in the last Sunday group, but reaction to his win, both at Augusta and on social media, was somewhat muted. Reed was greeted by his wife Justine and her family after donning the green jacket, but some commentary focused on the absence of the golfer's own parents and sister. The 27-year-old has a complex relationship with his family, with a falling out culminating in his wife reportedly having Reed's parents escorted off the grounds at the 2014 US Open. Golf.com journalist Alan Shipnuck detailed the breakdown of Reed's relationship with his family in a post-Masters article, with some of the tension seemingly stemming from the golfer's marriage to his wife when he was just 22. After Justine Reed made a series of allegations about Reed's parents' treatment of her husband, the Masters champion's sister responded with a Facebook post in late 2016. "I have sat back and watched the numerous and disgusting accusation his wife, mother-in-law and everyone now associated as his family have made. Patrick is not the same person he used to be. This is not a brother anymore, but a selfish, horrible stranger and it's heartbreaking … It is devastating seeing my parents hurt and suffer from what is being posted about them," she said. Shipnuck used the post-Masters press conference as an opportunity to ask Reed about the falling out, asking if it was bittersweet not to have parents and sister at Augusta with him for his big moment. "I'm just out here to play golf and try to win golf tournaments," he replied. Reed reportedly hasn't communicated with his parents since 2012.